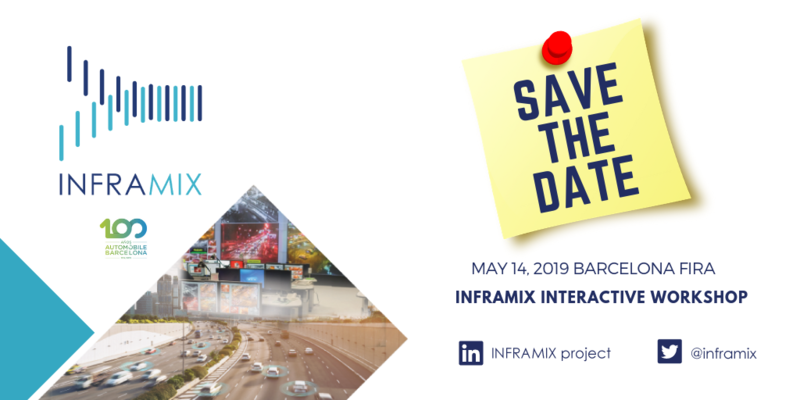 INFRAMIX is hosting its first Workshop: Preparing road infrastructure for the introduction of Automated Driving on 14 May 2019. It will take place at the Automobile Barcelona Fair, which is now in its 100 edition. INTRAMIX designed the workshop to be very interactive and are looking forward to hearing the thoughts of those participating. It will also be a valuable opportunity to meet relevant stakeholders and be a part of a wider network of experts in the sector. For more information & to read about the objectives of the INTERMIX project, visit their website.